The Hall of Mirrors, also known as the Bonnington Pavilion, the Corra Linn Pavilion, or the Falls of Clyde summerhouse, is just one of the many sights along the Clyde Walkway. 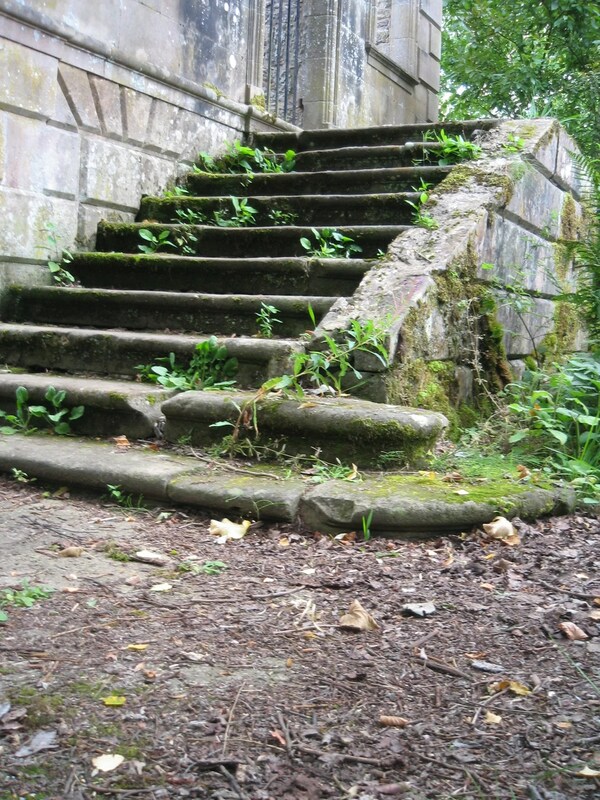 This trail extends for 65km and connects New Lanark, Scotland and Glasgow. It’s now in ruins, but the Hall of Mirrors overlooks the Corra Linn Falls on the River Clyde. Built in 1708 by Sir James Carmichael of Bonnington House, the building was constructed for entertaining his guests. 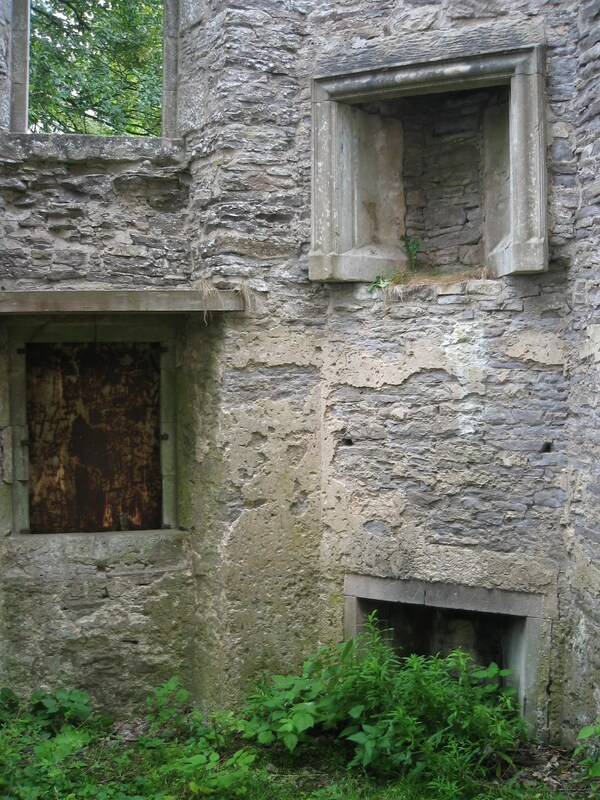 The two-storey building wasn’t a large building, but more of a stone gazebo, offering a large window overlooking the falls. 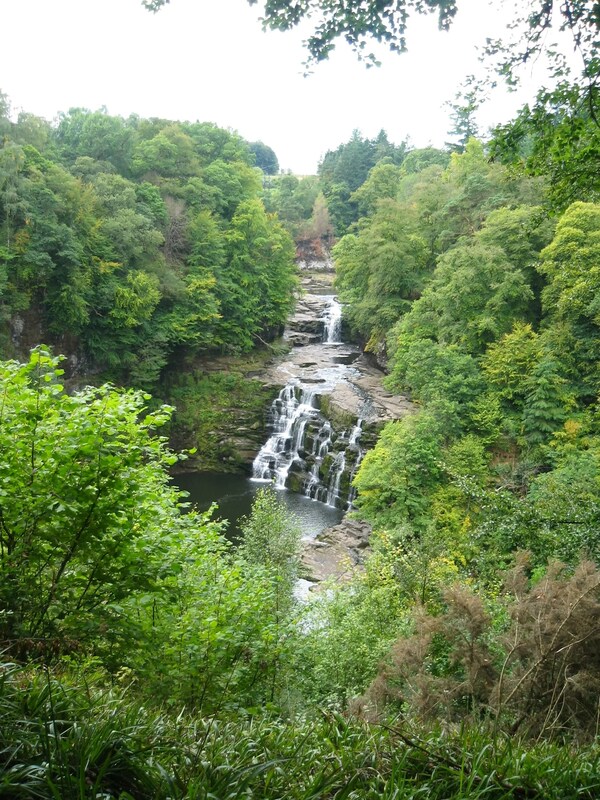 (The Corra Linn Falls are actually part of a collection of four falls, called the Falls of Clyde. The other falls, or linn, include the upper falls of Bonnington Linn, Dundaff Linn, and the lower falls of Stonebyres Linn). Why was the building dubbed the Hall of Mirrors? Well, because it had mirrors placed on the ceiling at an angle to reflect the image of the falls. Allegedly, this gave the impression that the waters were falling on the viewer. It’s thought to have been the first Camera obscura built in Scotland. But there may have been another reason for the mirrors. Back in the day, it was believed that nature was too harsh, brutal and ugly for women of good breeding to look upon it directly. (No, seriously. That’s what they thought.) But looking upon nature through the reflection of a mirror elevated the image to high art, making it okay. As long as they kept their back to the falls and didn’t look directly at them. I’m not sure how women got to the pavilion in the first place then, were they blindfolded? What else makes this building special? It had some famous visitors, such as Sir Walter Scott, William Wordsworth, and Samuel Taylor Coleridge, to name a few. Several alterations were made to the building over the years, and it’s not clear exactly when it was abandoned. But one thing is clear: the remaining ruins of this amazing little building need to be preserved. It’s thought that the footbridge was built for Lady Mary Ross. The bridge is also on the Buildings at Risk Register for Scotland. As we backtracked to the New Lanark woolen mill where we were parked, we came across this little guy on the trail. So watch where you step! This entry was posted in Scotland and tagged bonnington pavlion, hall of mirrors, new lanark, scotland by Darlene. Bookmark the permalink. Hello! Yes, you are correct that the mirrors were placed, at least in part, to create drama and interesting effects of the play of the water from different angles. (Not to mention reflecting light into the interior of the building). The information I pulled was from https://en.wikipedia.org/wiki/Bonnington_Pavilion. Specifically, there was this paragraph: “At the time of the construction of the pavilion it was generally felt amongst the aristocracy that nature was cruel and ugly and that women of good breeding should not look upon it unless it was reflected in a mirror or seen through a frame, thereby detaching the view from the aspect of harsh reality and transferring it to that of good taste and high art.” I hope this helps! To add to my previous comment, Black’s Guide of 1842 (2nd ed) talks of the mirrors providing the effect that the waters were tumbling upon the visitor, and does not mention the function you suggest. From my research it is likely that this is a sensationalist version of the truth – much like the talk of Whuppity Scourie being a renactment of punishment, with no evidence base. However, if you have a link to a contemporary account which contradicts this I’d be very interested to know. Have you got a source for any of this information specifically with regard to the pavilion? This was an attitude held at the time (although dying out by the time of the 1708 construction), but it’s also quite possible that, as at Dunkeld, the mirrors were placed to provide a more dramatic experience, to make it appear as if the waters were tumbling upon the viewer.